ONI Bureau: —– 4 kanwariyas killed after being hit by a train on Brahmani bridge in Rourkela. —– 44 have tested Dengue positive in Kalahandi dist. —– India Meteorological Department issues heavy rain alert for coastal Odisha till August 15; thunderstorm & rain alert for Sundergarh, Jharsuguda, Nuapada, Bargarh, Bolangir, Sonepur, Boudh, Sambalpur, Koraput, Ganjam districts till 4.30 PM today. —– 2nd phase admission into MBBS and BDS courses to fill vacant seats at various medical colleges will begin today in Odisha. —– Kanwariyas throng Shiva Temples to pour holy water on Lord Shiva on third Shravan Somvar. —– Vehicular communication disrupted between Sambalpur and Deogarh as road caves in near Pathargarh bridge in Deogarh dist. —– Former Lok Sabha Speaker Somnath Chatterjee no more. 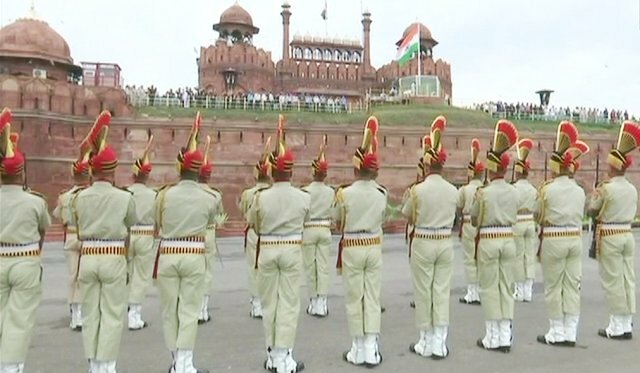 —– Full dress rehearsal held earlier today at Red Fort in Delhi ahead of Independence Day 2018. —– Water level in the dam, recorded at 5 am today is 2397.94 feet. The Full Reservoir Level of the dam is 2403 feet. —– The Karnataka government expressed its displeasure after the Ministry of Defence shifted its 22nd ‘Aero India’ show —– from Bengaluru to Uttar Pradesh this year. —– An earthquake measuring 6.4 magnitude on the Richter scale struck a remote part of Alaska, the US Geographical Survey confirmed. —– 17-time Grand Slam champion Rafael Nadal withdraws from Cincinnati Open after Rogers Cup triumph.